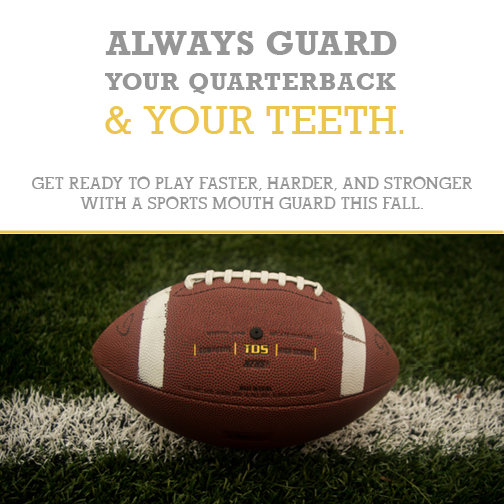 Don’t Forget Mouth Guards On Your Back-To-School Checklist! It’s that time of year again – time for the kids to head back to school! No doubt you’re busy helping them prepare for the new school year by working your way down your “back-to-school” checklist – binders, check. Pencils, check. Cool new outfits, check. But is your checklist missing something crucial for your kids’ safety? If your child is due for a cleaning, book his or her appointment now and we’ll fit him or her for a mouth guard during the same visit, to help save you valuable time! We have plenty of openings available within the next two weeks so we can get kids in before school starts. If your child recently had a cleaning and checkup, call us to schedule a 15-minute mouth guard impression. The mouth guard will then be ready for pick-up within a week! 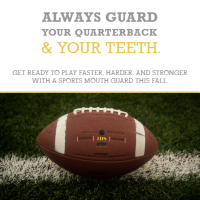 Custom-fit sports guards from your Shoreline Dentist are the best option to keep your kids safe and protected during school sports! Call us for more information at 206.440.0065 today!